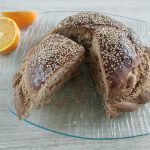 If you ever wanted to add a dash of Mediterranean cuisine to your Easter brunch, you’re gonna love this bread. 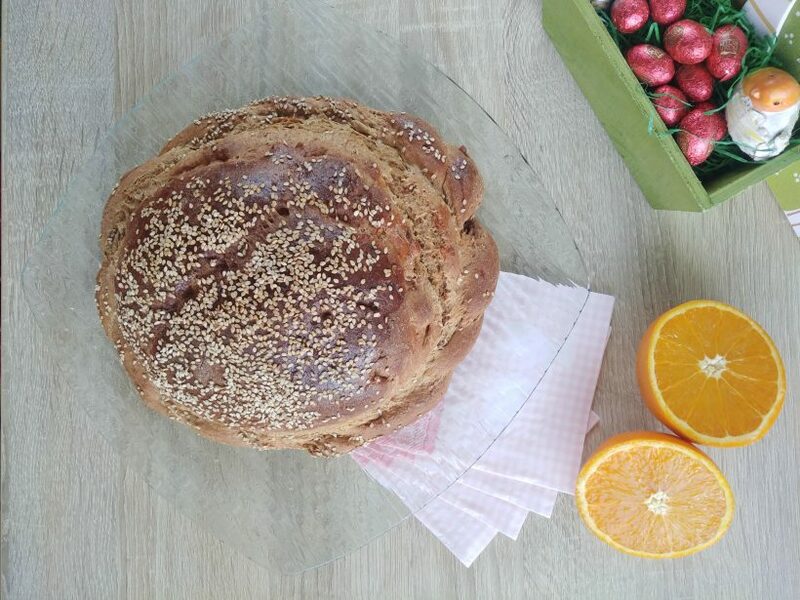 Now, to clarify – “normal”, more popular version of Tsoureki comes with red dyed eggs in it, braided. 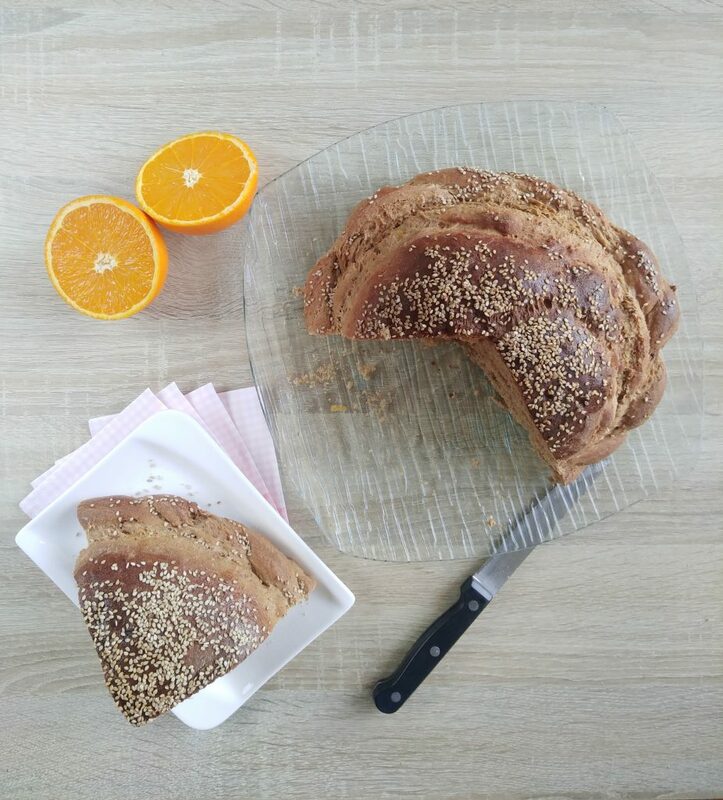 The version I created, however, relied more on the old greek cookbooks, which didn’t braid the whole bread, but only added the little braid around. Since I enjoy simplicity, I decided to share this one with you. I omitted red dyed eggs, just because – it’s not Easter yet, I don’t have them available. So I’m gonna be updating the photos with red eggs.. for Easter. Since we’re talking about adding dyed eggs inside the bread you’re gonna eat, I’d suggest natural dye – if you’re going to bake a healthy bread, you probably don’t wanna ruin it with chemicals, right? You can achieve red eggs by cooking them with red onion peels. Combine orange juice with yeast, apple cider vinegar and a bit of sugar. Set aside. In a bowl, combine flour, orange zest, lemon zest, coconut sugar and salt. Add yeast mixture, eggs, butter. When it’s not sticky anymore, knead it for a few minutes more, sprinkle it a bit with flour and set aside. Let it rise for ca. 1 hour – if you want to let it longer (i.e. you have something else do to), it’s totally fine. Knead the dough again a bit, take 1/3 and from the rest, make a nice ball. With the 1/3 dough, roll it in 2 long pieces and braid them. Put the braid around the ball. Now would be the time to gently insert eggs if you’re doing that. 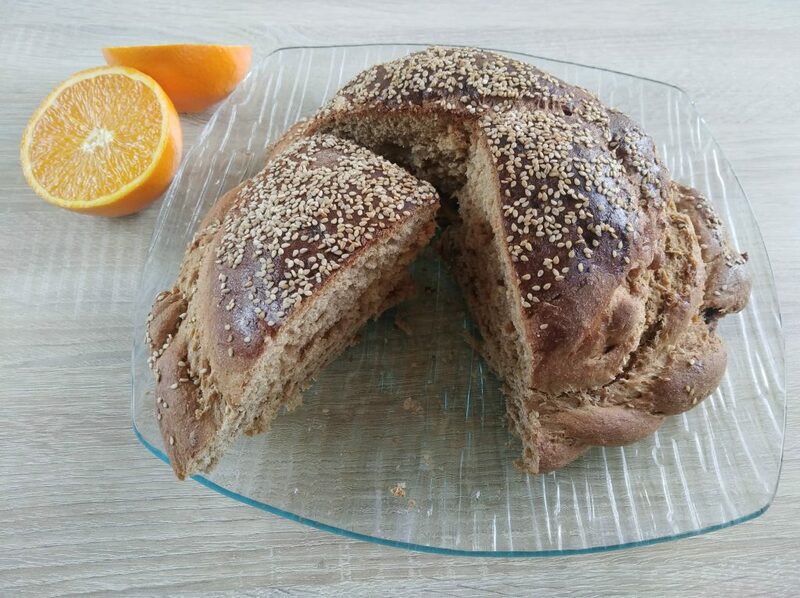 Brush the Tsoureki with the egg yolk and sprinkle it with sesame seeds. 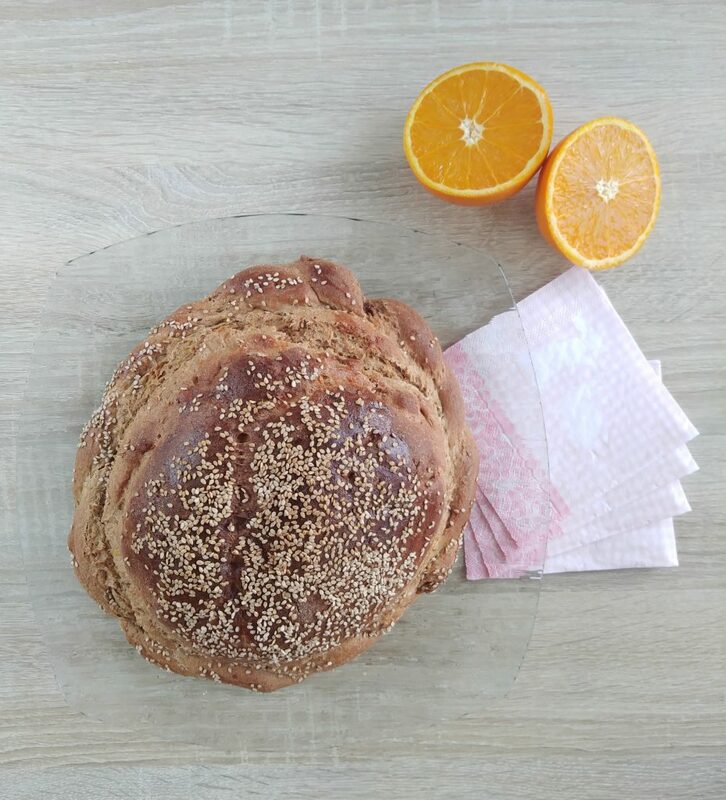 Put your Tsoureki in he oven and bake for ca 40-45 minutes, until golden brown. Before cutting it, let it cool down.